This post is part of an ongoing series featuring items recently cataloged from the Julio Mario Santo Domingo Collection. Actuel may just be the magazine equivalent of a cat with nine lives. 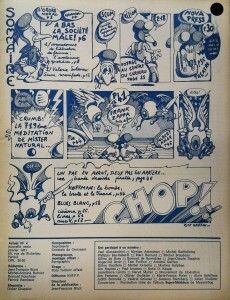 This French publication has seen some three iterations, beginning as a jazz and alternative music review in 1967. 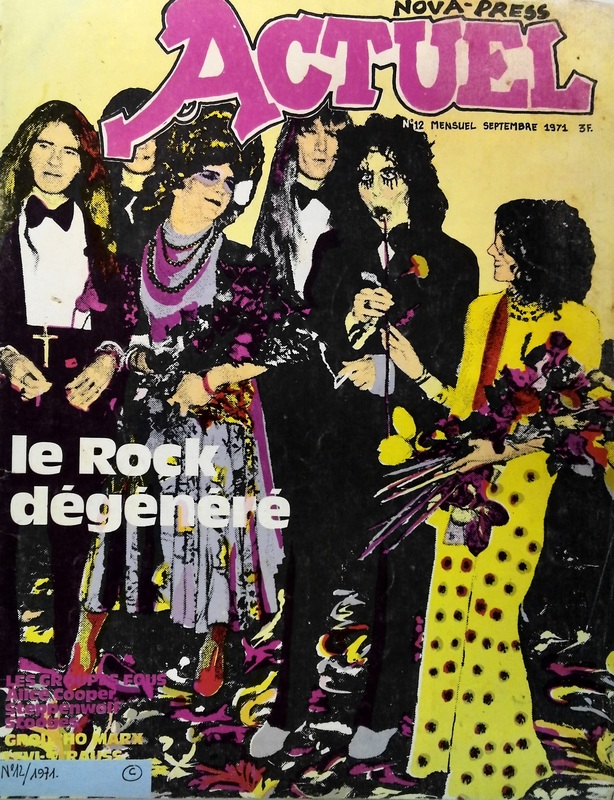 Taken over by Jean-François Bizot in 1970, Actuel became a staple of the underground press in France. 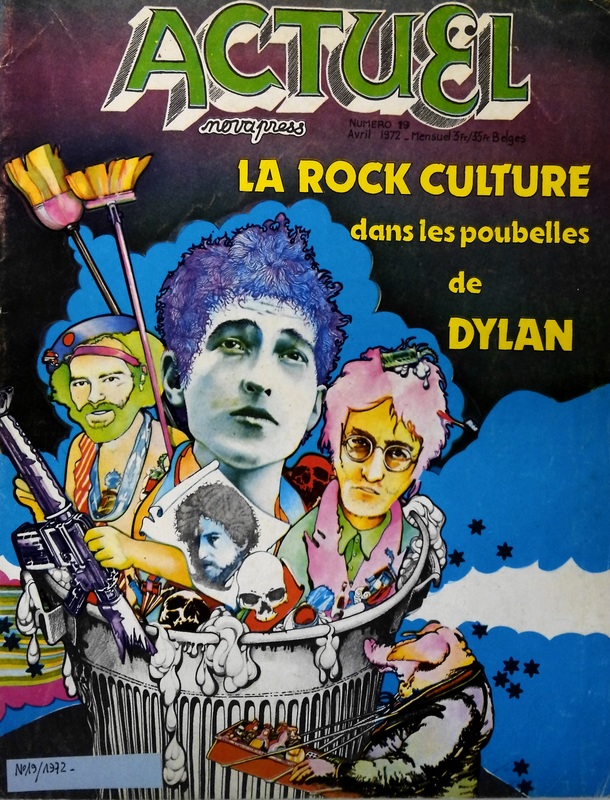 After a trip to the United States, where he witnessed firsthand the music, people, and substances of the Counterculture Movement, Bizot returned to Paris. A journalist at L’Express, Bizot realized that an article in that publication could not cover all that he had witnessed in the States. 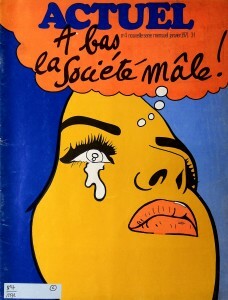 Further propelled by the civil unrest in France in May of 1968, where massive demonstrations and strikes were accompanied by the occupation of factories and universities, leading to a freeze of the French economy and widespread concerns of civil war, Bizot was inspired to begin a French underground publication. And so began the second life of Actuel. 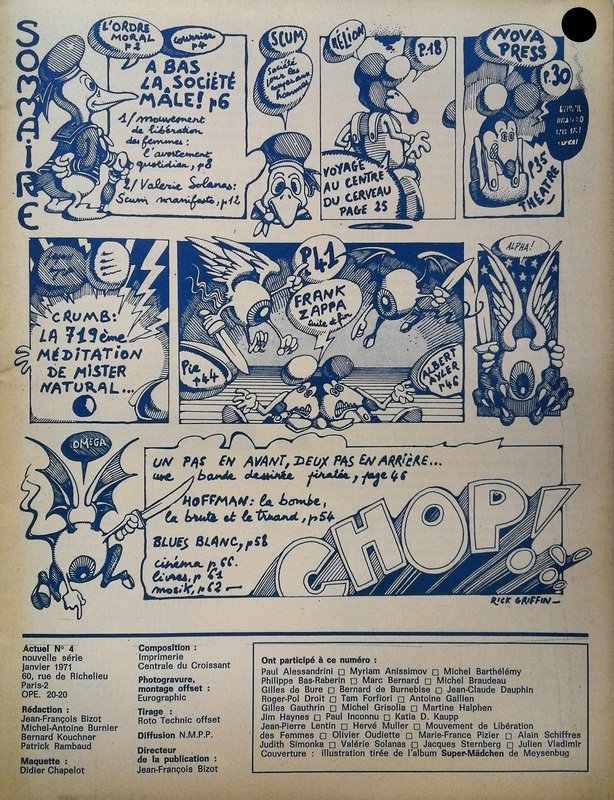 The magazine covered everything from drugs to film to feminism, and introduced artists like Robert Crumb to a French audience. 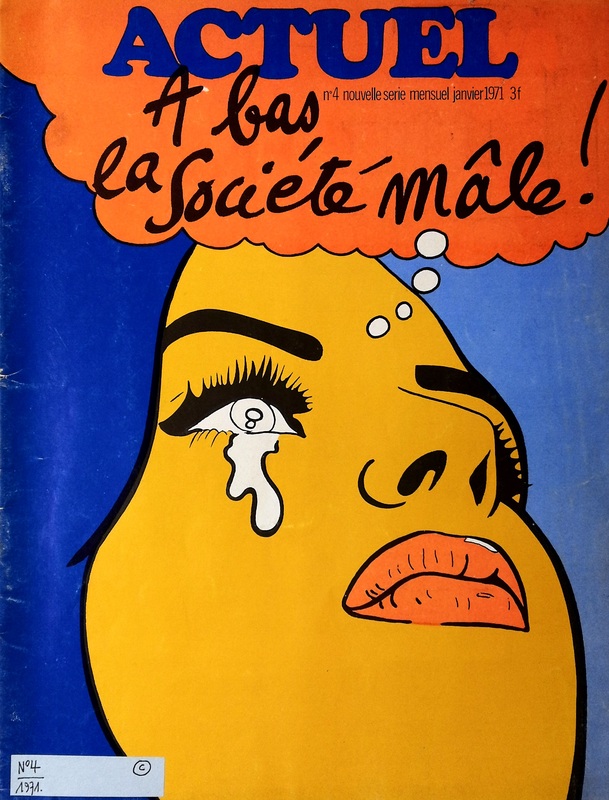 Bizot used the platform to lend voices to ecologists, feminists, gay-rights activists, and anti-racism campaigners. 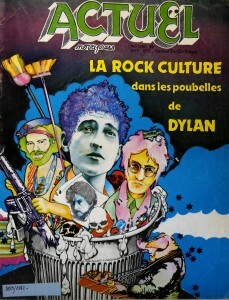 The magazine married the works of Rimbaud and Baudelaire with the music of Bob Dylan and Frank Zappa. 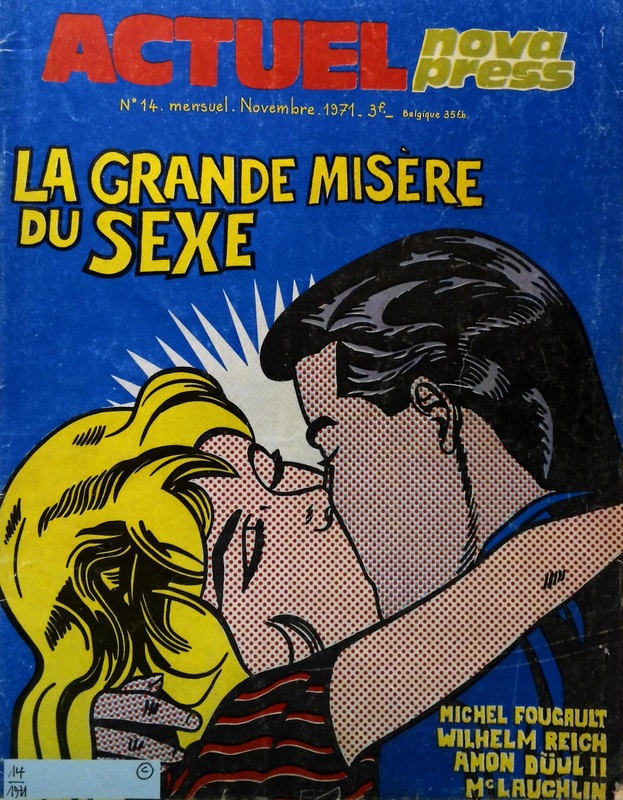 Its pages were loud and colorful, rarely printed in black and white, and with a layout that would be repeated by underground newspapers and zines for decades to come. After 58 issues in a five-year run, this second rendition of Actuel shuttered its doors. However, Actuel would have yet another reprisal. 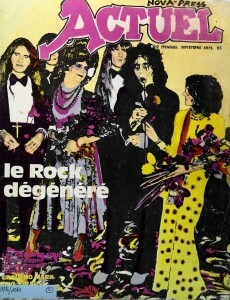 In 1979, Bizot and the other members of his original editing team came together to produce a more modern and streamlined version of Actuel . 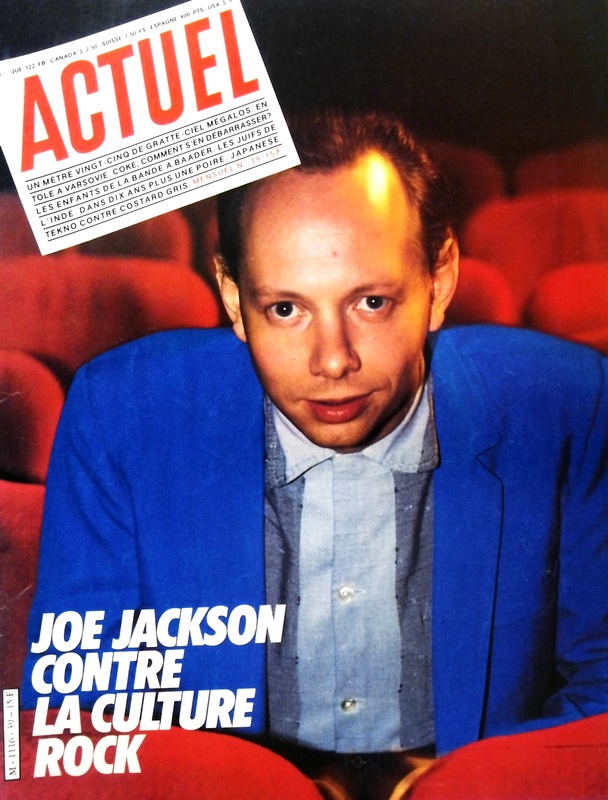 This magazine was big and glossy, with material aimed at the youth of the 1980s, with an emphasis on quality reporting, travel, and photography. 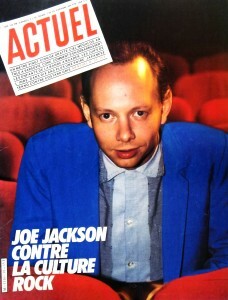 Unlike its underground press predecessor, this new Actuel was a mainstream hit, with some 400,000 subscribers by the mid-1980s. With some breaks and restructurings in the process, this final version of Actuel ran until 1994, when Bizot started a new publication, Nova. 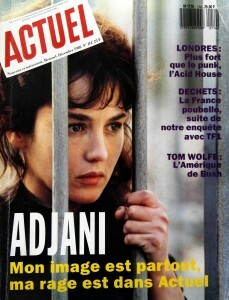 Bizot passed away in 2007. To learn more about the life and work of Jean-François Bizot, his obituary is available at The Independent. 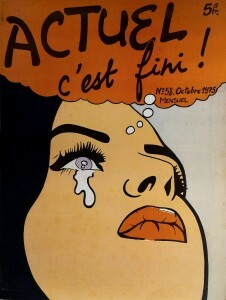 Issues of Actuel can be found in Widener’s collection: Paris: Jean-François Bizot, 1970-1975 and Paris: Actuel, 1979-1994. Thanks to Irina Rogova, Santo Domingo Library Assistant, for contributing this post.